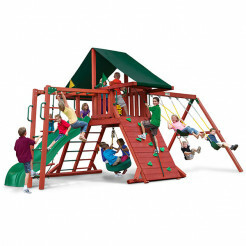 Not only do they look great, but they are also built to be sturdy and stand up to the weather. 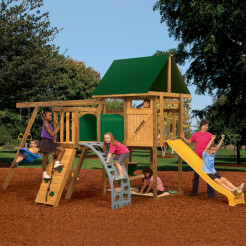 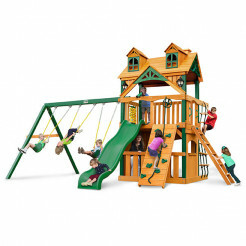 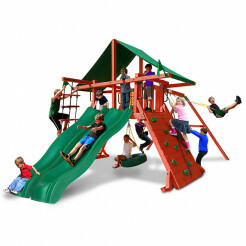 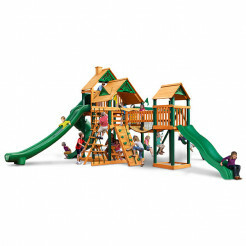 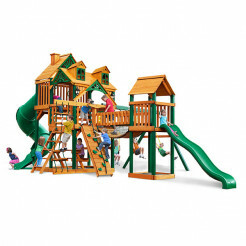 Many of the play sets you'll find at TotallySwingSets come with pre-cut and pre-treated lumber in various colors, such as cedar, redwood, or yellow pine. 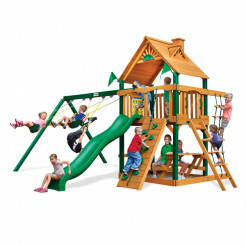 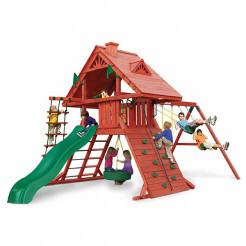 There is a large variety of wooden swing sets to choose from and with their diverse range of features and accessories there is definitely something for everyone. 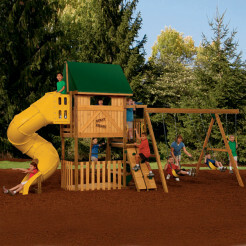 From rock climbing walls to play forts, sandboxes, and slides you'll find a play set your kids will enjoy for years to come.